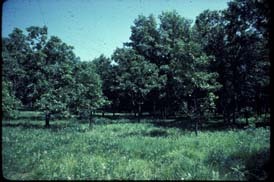 This study examines the effects of long-term prescribed burning treatments on vegetation structure and composition, productivity, and nutrient cycling in upland oak savanna and woodland vegetation. The basis for the study is an ongoing, experimental prescribed burning program begun in 1964 at Cedar Creek, and a similar program operating since 1962 on the adjacent Helen Allison Savanna property (owned by The Nature Conservancy). 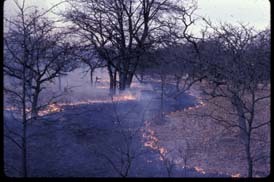 These prescribed burning programs are designed to subject upland oak communities (and some old fields) to different burn frequencies and patterns of burning, with the ultimate objectives of 1) restoring and maintaining the historically important savanna and open woodland vegetation, and 2) providing information about the effects of different burning patterns on vegetation structure and composition. This study addresses the latter of these two purposes and expands on it by also investigating possible influences of fire on resource availability (nutrients, water, and light) and net primary productivity. This study represents a continuation and expansion of experiments 015 and 094. We have examined the impact of fire, vegetation, and plant-insect interactions on biogeochemical cycling (Laungani and Knops 2009ab, Dijkstra et al. 2006ab, Kay et al. 2007, 2008, and Hobbie 2010, Knops and Bradley 2009) and plant, bird, and mutualist communities (Chapman and Reich 2007, Peterson et al. 2007, Peterson and Reich 2008, Dickie et al. 2005, 2007, 2009a), as well as the interactive role of plant-mutualist interactions (Dickie et al. 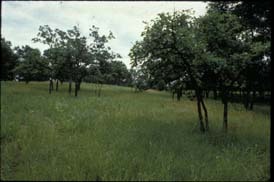 2007) and tree-shrub interactions (Pelc et al. 2011) on the dynamics of the plant community. We have found that phylogenetic relatedness corresponds with spatial scale and environmental variation and species responses to fire in the savanna burn treatments (Willis et al. 2010, Cavender-Bares and Reich 2012). 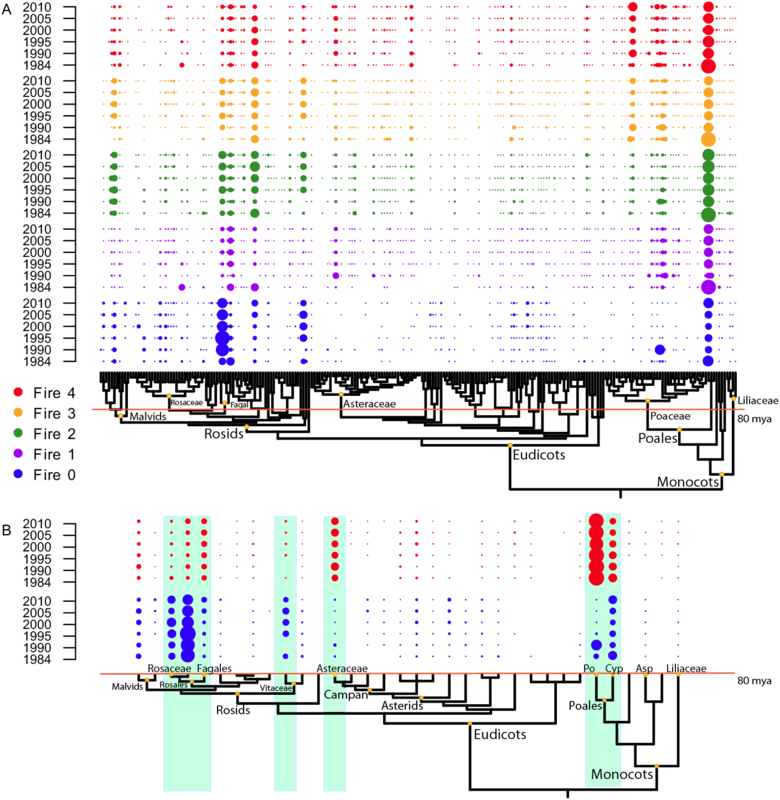 These studies show that traits influencing patterns of phylogenetic beta-diversity along a gradient of fire frequency may have originated as long as 80 million years ago (Fig. 1).